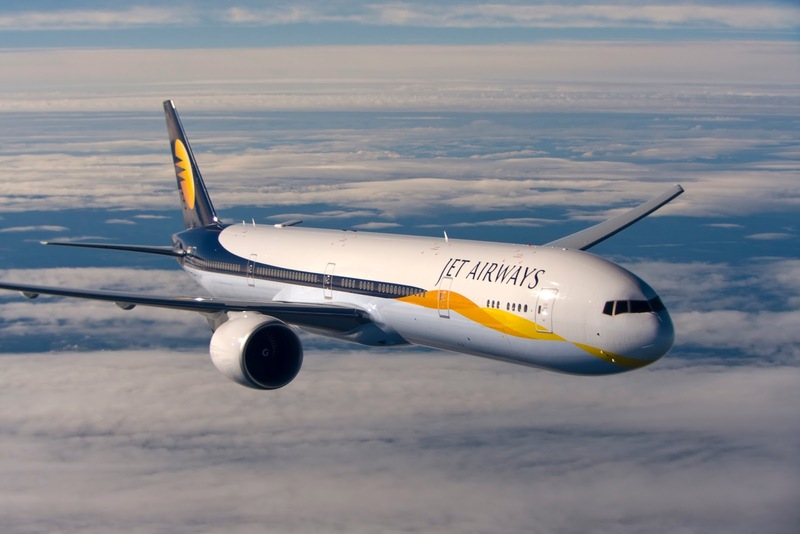 Jet Airways, India’s growing full-service international airline, will introduce three new international services to its already extensive global network this winter, besides reinforcing six existing routes with additional frequencies to meet growing travel demand. The carrier will introduce its first non-stop service between the capital cities of New Delhi and Riyadh. It will also deploy additional frequencies on the Mumbai-Riyadh, Mumbai-Kuwait, Delhi-Doha and Delhi-Dammam sectors as it deepens presence and connectivity between key Indo-Gulf cities. Effective 29th October 2017, new non-stop flights will commence connecting Bengaluru and Chennai to the airline’s gateways in Amsterdam and Paris, respectively, as part of the carrier’s strategy to connect more cities, especially in the South of the country to destinations in Europe and North America. The airline is the first to operate flights on these routes which, along with a third daily flight on the increasingly popular Mumbai-London sector, will give guests a greater choice of convenient connections to other European cities and destinations in North America. The new intercontinental services to Amsterdam and Paris will operate in codeshare with KLM, Air France and Delta Air Lines. Guests who are members of Frequent Flyer programmes of the codeshare partners - JetPrivilege (JP), Flying Blue and SkyMiles will also be able to easily accrue and redeem points on each other. Jet Airways will deploy its Airbus A330 aircraft on the Chennai-Paris and Bengaluru-Amsterdam routes for a relaxed and enjoyable flying experience. The A330 features a spacious cabin with ergonomically-designed seats having ample leg-room, lie-flat beds in Premiere, award-winning in-flight entertainment as well as a carefully-curated menu of fine-dining choices, surrounded with all the comforts associated with long-haul, international travel – together with the airline’s acclaimed spirit of Indian hospitality. Responding to growing demand, Jet Airways is also adding new frequencies on certain select routes, including the extremely popular Mumbai-London Heathrow as well as Delhi-Singapore, further enhancing connectivity and choice for guests travelling between North India, United Kingdom and South East Asia. Air travel between India and the United Kingdom has shown a steady annual growth of nearly 10 percent over the last few years. The new flight, will be Jet Airways’ third daily frequency between Mumbai and London, a first by any Indian airline and will boost Jet Airways’ passenger and cargo capacity between India and the United Kingdom by almost 33 percent, allowing it to capitalise on the growing, round-the-year demand being witnessed from EU and non-EU countries to India and other emerging economies, on the back of fast expanding relationships in the areas of trade, commerce, tourism, culture, and, education. This new flight will enable Jet Airways to offer onward connectivity over London Heathrow to North America with codeshare partners Delta Air Lines and Virgin Atlantic to as many as 14 destinations including Atlanta, Boston, Detroit, Los Angeles, Miami, Minneapolis, Newark, New York, Philadelphia, Portland, San Francisco, Seattle, Salt Lake City and Washington DC. The airline will deploy its biggest aircraft – Boeing 777-300ER with a three-class configuration including, its award-winning ‘First Class’ Private Suites, 180° lie-flat beds for Business travellers and ergonomically designed Economy seating, on the new frequency. One of the most modern cities in the Gulf, Riyadh is the capital and financial centre of Saudi Arabia - India’s fourth-largest trading partner. Traffic to India increasingly comprises leisure seekers and those travelling for medical purposes. The new service from Delhi and twin frequencies from Mumbai will help to meet this growing travel demand. In fact, guests from Riyadh can leverage Jet Airway’s 44-city pan-India network or its international connectivity to Bangkok, Colombo, Dhaka, Hong Kong, Kathmandu and Singapore via the airline’s hubs in Mumbai, Delhi and Bengaluru. Guests arriving into Riyadh can travel across Saudi Arabia and beyond, using the robust network of Jet Airways interline partners - Saudi Arabian Airlines and Flynas. The introduction of direct intercontinental flights will not only boost corporate and leisure travel but also contribute to significant growth in cross-border trade and commerce. Guests returning to Chennai and Bengaluru from Europe can leverage the airline’s extensive connectivity into Southern India from its network of 44 domestic destinations.